Lisson Gallery is participating in The Armory Show again this year, (Pier 94, Booth 601), showing a major work by Liu Xiaodong in honour of the art fair’s special focus on China. Entitled East (2012), Liu’s monumental canvas is one of four works from his renowned series, The Hotan Project (2012-13), painted in a remote part of China’s largest, most westerly province of Xinjiang, which is becoming an increasingly controversial and troublesome area of the country. 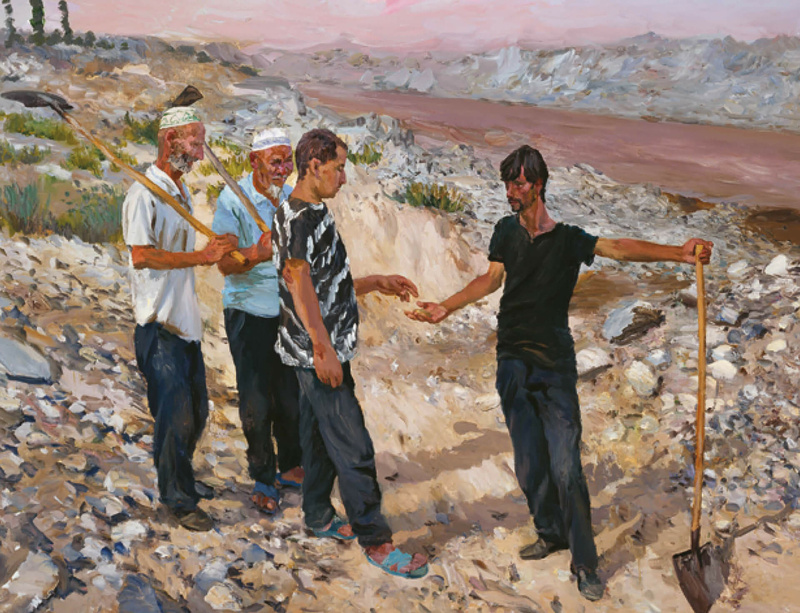 Across a quartet of pictures (entitled North, South, East and West) painted outdoors in the harsh surroundings of an open-cast jade mine, Liu captures a group of local Uygur (predominantly Muslim) workers digging for precious stones that are then sold to the Han Chinese either as carved objects or as an alternate form of currency. In addition to bringing works by Allora & Calzadilla, Cory Arcangel, Tony Cragg, Spencer Finch, Julian Opie, Pedro Reyes and Lawrence Weiner, Lisson Gallery is exhibiting a recent large-scale painting by Cuban-born and New York-based artist Carmen Herrera, who is approaching her ninety-ninth birthday. Also on the stand is a table-top maquette, One Straight Line Crossed by One Curved Line (2007), by Dan Graham, who will be producing a new site-specific glass and steel pavilion for the roof of the Metropolitan Museum in New York (29 April-2 November). For more works from the Lisson Gallery's stand please click here.